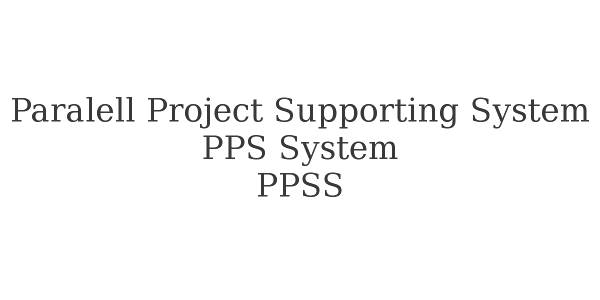 Paralell Project Supporting System - PPS System or PPSS. The PPS System a social network, where members support the projects with their voluntary activities, ideas, works, financial investment or donations based on their invidual or economic decision. PPS System is a 8up projects. 1. Volunteering! Chosse for yourself a project, which is closest to your goals or dreams and take on voluntary tasks in this project for 8 weeks. The participating in our events is free. Here you can listen professional lectures and startup stories. 2. Recruitment! You have to bring minimum 8 new entrant, who can be also the volunteers, helpers, supporters of your project in the future. 3. Marketing and advertisement! Make a marketing plan and advertise our community. 4. Positive message! Send a private positive message to at least 8 of your aquaintances. 5. Projectplan! Make your own project plan and carry out your dreams, goals. 6. Think and do it! 7. Build our community wiht acts! 8. Tell it! Write down your story and tell us and everybody else at our lectures.